It wasn't a good ending with the Blues for a player who was one of the stars of his World Cup winning team. Andre Schurrle, Chelsea's 18 million pound signing from Bayer Leverkusen unfortunately could not live up to the lofty expectations surrounding him. In his 44 appearances for the Blues since his advent in 2013 he scored 11 times and made 2 assists in the Premier League. His 7.1 shots-per-goal compares very poorly to someone like Diego Costa with 3.6 shots-per-goal. His shots on target read a poor 30.8%. His 37% completion of his dribbles meant that he lost on 63% of the occasions he attempted to do so. He featured in 45.5% of the games suggesting that his role had become that of a rotational player. After an encouraging start to the season and a vital goal at the Etihad against Manchester City, Schurrle's trademark passion, energy and never-say-die attitude towards the game seemed to desert him. This fleet footed winger who also doubled up as a striker participated less and less in attacks and his customary incisive runs into the box became a thing of the past. He found refuge in 30-yard shots which were normally miles away from the target. After one such poor showing against League Two minions Shrewsbury Town in November, Jose Mourinho thought he had enough of the German. 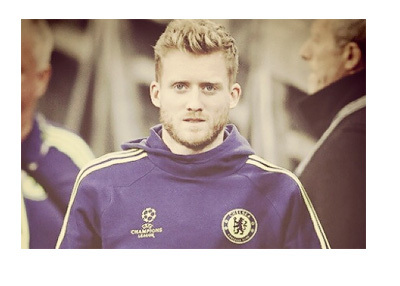 For the 24-old Schurrle who at this tender age is a German international with 42 caps and 17 goals and whose career spanning over 2009-2013 for German clubs FSV Mainz 05 and Bayer Leverkusen saw him score 38 times, the Chelsea chapter was a horror story of sorts. So it did not ruffle many feathers at Stamford Bridge when he moved to the Bundesliga club, Wolfsburg SV on a £22m transfer deal. Juan Cuadrado from Fiorentina is set to fill in the German's place at the Blues. While Cuadrado flew in from Italy, another Chelsea flop story will be on his way to Fiorentina on a loan-deal, which is actually a not very appropriate swap for the mercurial young Colombian winger coming in to join the blues. The £11m signing from Basel, Mohamed Salah was a goner from the start. Apart from the goal in Chelsea's 6-0 drubbing of Arsenal in March, there was nothing about the young Egyptian to write home about. The blistering pace and defense-splitting runs into the box, normally associated with this 22-old year winger were nowhere to be seen this season. The upshot of this was just 2 goals from 13 matches and just 337 minutes of game time to his name, having spent most of his tenure warming Chelsea benches. For someone who already has 35 caps and 20 goals for his country, Egypt, and 17 goals from just 47 games for his previous club, Basel, the Chelsea outing is something Salah would like to put behind. The loan-deal with Fiorentina seemed to be the only exit-option for Mohamed Salah. The deal with Fiorentina, which will see the young Egyptian play for the Serie A club till the end of this season in May 2015, offers him an escape route from Stamford Bridge. But on the other hand it places on him an onerous task of filling in the big boots of the very versatile Juan Cuadrado at the Italian club.